When President Obama gave his speech in Osawatomie, Kansas on December 6, many people applauded his hard hitting rhetoric about the things that led to the economic downturn, the way the GOP have obstructed ideas to help relieve the recession and his take on how economic inequality is hurting the country. I applauded him also, but wondered why it took him so long to make these connections? 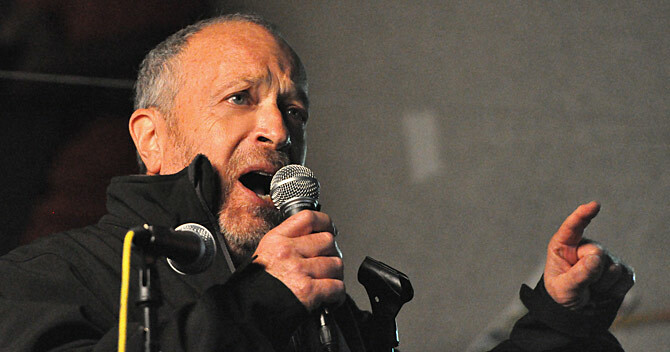 Robert Reich – former Labor Secretary for President Clinton – has been making these connections for years.You can find a link to his blog in the right-hand column. In fact, as I read the President’s speech, I had to wonder if Professor Reich had helped write it. 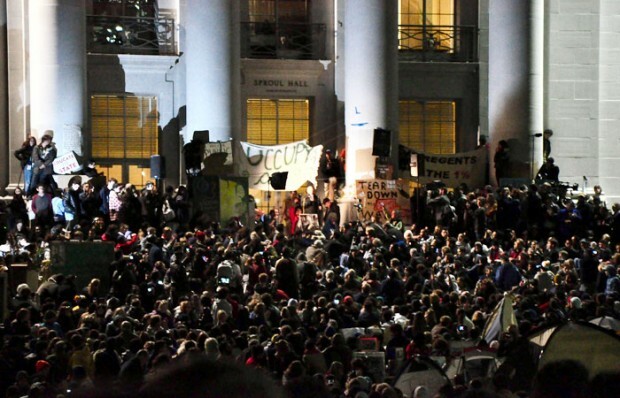 Just a few weeks before the President’s speech, Prof. Reich spoke to thousands crowded into Sproul Plaza on the UC Berkeley campus to hear his Mario Savio Memorial Lecture. You can watch it below. The speech was extemporaneous, humorous and eloquent. Some of you are concerned also about the increasing concentration of wealth and income in our society, an increasing concentration that has meant, for example, that the 400 richest Americans now own more of America than the bottom 150 million Americans. But fundamentally — and let me try to connect some of these dots — fundamentally, the problem with concentrated income wealth and fundamentally with an education system that is no longer available to so many young people and even a K-12 system that is letting so many people down — the fundamental problem is that we are losing equal opportunity in America. We are losing the moral foundation stone on which this country and our democracy are built.Now, there are some people out there who say we can not afford education any longer, we cannot afford, as a nation, to provide social services to the poor. We cannot, some people say, any longer, afford as a nation to provide the safety nets for the poor and the infirm or for the people who fall down for no fault of their own. But how can that be true if we are now richer than we have ever been before? How can that be true that we cannot afford to do all sorts of things that we need to do for our people when we are the richest nation — and continue to be — the richest nation in the world? And again, let me connect the dots, because over the past three decades, this economy has doubled in size, but most Americans have not seen much gain. If you adjust for inflation, what you see is the median wage has barely risen. Where did all the money and resources go? They went to the top. And, look it. Let’s be clear about this. We are not vilifying people because they are rich. The problem here is that when so much income and wealth go to the top, political power also goes to the top. Particularly when, as I indicated to you, there are no longer any controls on the amount of money spent on politics. Professor Reich has been connecting these dots for years, warning about the dangers of wealth concentration and not investing for tomorrow. I’m glad the President gave the speech, but I want to see action – not words – from him and our elected officials.